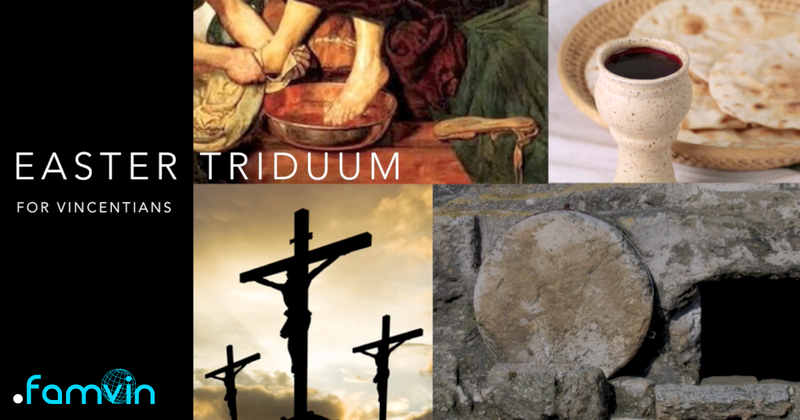 Easter Triduum reflection including quotes from St. Vincent de Paul, St. Louise de Marillac, St. Elizabeth Ann Seton, Bl. Frederic Ozanam, Bl. Pier Giorgio Frassati, and St. Gianna Beretta Molla.